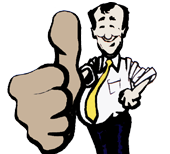 Top Brands – We guarantee you won't find the same product at a lower price in Scotland. Carpet & Flooring World Quality Brands. 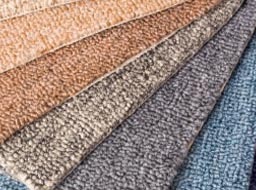 The majority of the carpets sold by Carpet & Flooring World contains only the best fibers: nylon, polypropylene (olefin), acrylic, polyester, wool, or cotton. Synthetic fibers make up more than 99% of the fiber used in the carpet industry. Each fiber has strengths and weaknesses, with over 20 years experince in the industry we know the top quality brands and that's what we provide from our shop at the most competive prices. Throughout the last 50 years it has placed great emphasis on quality, service and reliability. In fact, such is the esteem in which the company is held, that it has been voted 'Floor Covering Supplier of the Year' for the last five years by readers of the flooring trade magazine, as well as winning many independent retailer awards. Abingdon Flooring is one of the UK's largest manufacturer of quality carpets. In the last 12 months, over 500,000 customers have selected one of their ranges. These have been purchased via our select band of premium retailers. Abingon use only the best, top grade raw materials when making carpets. Comfortable and stylish - these carpets benefit from all the natural characteristics of real wool. Housed within stylish & quality display systems and smaller lecterns - these displays also feature an integral multimedia screen explaining how Regency wool carpets are made with the utmost quality – all manufactured in the UK. Westex can ensure that each manufacturing process from wool to carpet is carried out to exacting quality standards, as all the processes are not only based in the United Kingdom, but also owned and controlled by WeIn the last five years, Westex has established a high quality contract carpet arm for trade buyers and businesses, with innovative and competitive contract ranges suitable for even the most prestigious of installations. Furlong Flooring is Ireland's largest supplier of quality floorcoverings, with a vast range of carpets, vinyls, solid / semi-solid wood and laminate flooring products. Over the years they have expanded in the Irish market through indigenous growth and also by the acquisition of O'Dea & Co. Limited. In the early 1990s they moved into the UK and now have distribution companies based in London, Preston and Wales. Use the revolutionary Uniclic system to effortlessly click the planks together. You won't believe how strong this system is. The click systems, which have been milled in the core board itself ensure exceptional tensile strength. It is quite difficult to pull apart installed Quick-Step planks. Just give it a try. Quick-Step has always been technically strong and quality-conscious, from the raw material to the finished product. A Quick-Step floor is a floor with an irreproachable reputation that will provide years of enjoyment. Balterio is one of the fastest growing laminate flooring producers in the world, Balterio laminate floors are sold in more than 55 countries. Balterio laminate floors are extremely durable. The wear-resistant surface together with the strong core ensures a remarkable resistance to scratches, moisture and stains. They are as moisture resistant as traditional wooden floors. Even after years of intensive use, your floor will be in outstanding condition. Tarkett provides integrated flooring-, wall based- and sports surface solutions to professionals and end-users that measurably enhance both people's quality of life and building facilities' life-time return. Each of our integrated flooring and surface solutions caters to a very specific customer need. The space, how it's used, design choices, building norms and safety regulations, as well as budgets are all different – because every customer is unique and has highly individual needs. Today, across the world and day after day, people experience their lives at home, in public buildings, schools, hospitals, offices, and during sports- or leisure activities through a Tarkett floor. Beaulieu Floors is a well-established company that offers a large variety of styles and selections of all types of flooring. Whether you want carpet, wood, laminate, ceramics or vinyl, they carry the same product lines from major manufacturers and specialty mills that you would find in more expensive department stores and independent retailers. They offer significant cost savings because they keep their overhead low and pass the savings on to you. With over 16 years of flooring experience, you can expect the same high quality workmanship that we do.